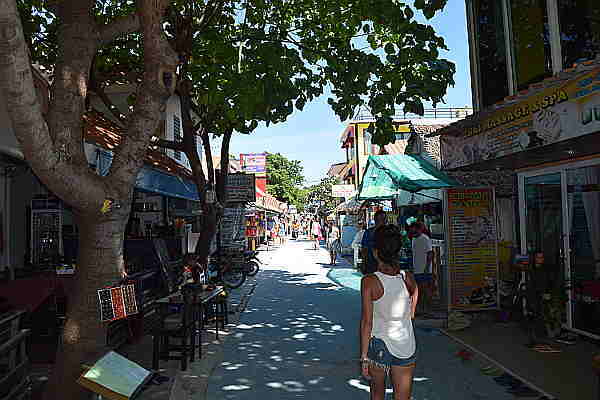 Walking street is the heart of Koh Lipe. It’s the centre – the village. It is typical of many villages that you find on islands all over Thailand with narrow, interconnecting paths connecting to it’s main walkway. Walking Street can get very busy as pretty much everyone visiting Koh Lipe will end up on Walking Street at some point during their trip. Walking from beach to beach is usually done via Walking Street with Pattaya Beach, Sunrise Beach and Sunset Beach within easy reach. Walking Street isn’t just a way of getting from A to B as it has a lot to offer. It’s a relaxed place – a great hangout after the sun has disappeared. After dark is when Walking Street really gets going and there’s a good selection of restaurants that cater for all kinds of budgets. There’s also plenty of cool bars open until late in the night. Walking Street is the place to go for massages, 7/11’s, ATM’s, pharmacies, clinics etc… It’s also a good place to purchase snorkelling trips and onward tickets to other destinations in Thailand from one of the many travel shops. Walking Street offers a number of hotels situated on and close by to it. Walking Street and Central Koh Lipe hotel recommendations. Harmony Bed & Bakery is a very popular choice. Located just a couple of minutes walk from Walking Street and Sunrise Beach. The choice of rooms available include family rooms. Another popular choice on Koh Lipe is Ricci House Resort. Close to Walking Street and Sunrise beach. Situated close to the center of Koh Lipe, all the beaches can be explored from here with ease. 2 bedroom suites, family rooms, triple rooms, deluxe and standard bungalows make Gecko Lipe Resort an ideal choice for all. On a budget? A Plus Lipe Hotel could be the choice for you. A wide choice of dormitory rooms are available. A hotel that’s located right on walking street and has good reviews. What more can you ask for? Situated right in the middle of Koh Lipe. Sunrise, Sunset and Pattaya Beach are all equal distances away and it has the added bonus of a swimming pool! 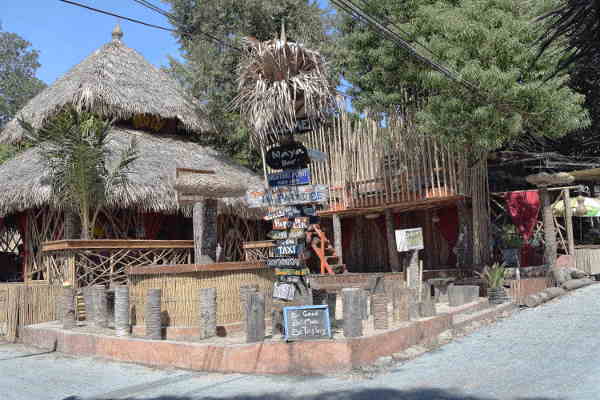 The Noi Guesthouse and Restaurant has great reviews and is well priced. A few minutes walk to Sunrise Beach and a few minutes walk to Walking Street. Oasis Lipe resort is ideal for groups of travellers. Easy access to Walking Street and Sunrise beach. A choice of Fan and Air Con rooms available. Situated just off Walking Street and only a few moments away from Pattaya beach. Bars and restaurants are all close at hand.